Was very impressed with Dr. Joshitha Naik. 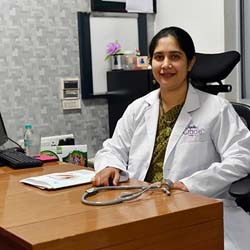 She is a good lady doctor at Jayanagar Cradle, hospitality was very good. Overall good experience during my pregnancy visits and delivery. Great experience at Apollo Cradle, Jayanagar and with Dr. Joshitha Nayak. Very impressed with the care and treatment by the gynaecologist, duty doctors and staff. Very good care by Dr. Joshitha Naik and experience was excellent; The staff were very friendly and very helpful during my stay; They made me feel very comfortable, surely like to recommended Apollo Cradle- Jayanagar to my friends. Dr. Joshitha Naik took care very well during my pregnancy and delivered at Apollo Cradle, Jayanagar. Good hospitality & reliable treatment at reasonable price in Apollo Jayanagar. I would like to express my thanks to Dr. Joshitha for all your care &amp support. At Cradle Jayanagar felt like home. Staff friendly caring, and helpful, staff over here are really caring nice friendly and helpful. I would recommend this hospital to my friends and relatives. Thanks. Delivered at Jayanagar Apollo Cradle. Dr. Joshitha was my doctor. Loved the experience completely. Thank you for your best services, Keep it up. Loved delivering at Cradle Jayanagar completely. Thank you for your best services, Keep it up. Thanks to Dr. Joshitha who was my gynaecologist. Staff friendly caring, and helpful, staff over here are really caring nice friendly and helpful. I would recommend this hospital to my friends and relatives. Thanks to @Cradle Jayanagar. Had a normal delivery .we are very happy with the team a healthy and happy. Thank you Dr. Joshitha @ Cradle Jayanagar for taking care of me during pregnancy and delivery. Very good service and i was happy and can refer to my friends.